Are you having problems with your building such as leaks, bricks coming loose, or roof damage? If so, then our technicians can take a look and repair the problem in a flash. Our maintenance services are available to local authorities, property management agencies, and private landlords. Whether you’re looking to repaint walls or remove graffiti, the rope access technicians at Ropeworx can be trusted to get the job done in a safe and reliable way. We provide complete building surveying services including drafting, photographic recording, concrete inspections, and boroscope services. 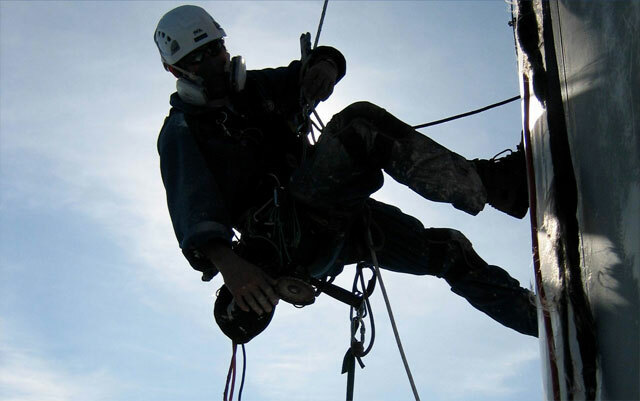 Ropeworx abseiling service London is there to keep even the hardest to reach places of a building clean. We are able to reach the highest windows, rooftops, and any other area that would be difficult to access and clean by yourself. Is your building under constant assault by birds? They are known to use the roofs and windows of buildings as homes and it leads to a lot of filth. If that has happened to you then count on us to install bird spikes to keep pigeons and crows away from your building. If the roof of your building is leaking then we’ve got the right solution for the job. Our abseiling technicians will be able to waterproof your window, roof, and other hard to reach places. RopeWorx is your one stop shop for all rope access services in London and Home Counties.